Hakata Sennen-no Mon is a welcome gate to lead tourists visiting Hakata to the temple town area where many historic cultural assets are still remained. 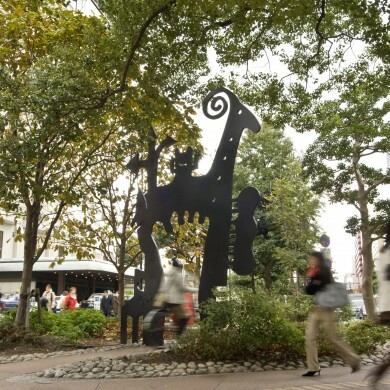 Local residents, local businesses and the local government who wish the prosperity of Hakata have come and work all together to build up the gate, and it is completed in March, 2014. 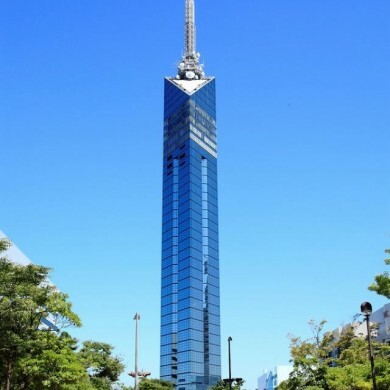 The name was chosen from among the public giving their thoughts of the weight of 1000 years of Hakata’s history and wishing 1000 years of prosperity from now on. 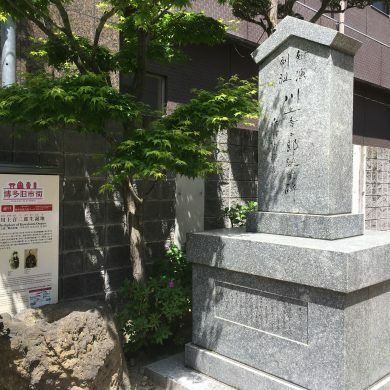 According to the historical record, on the way from Hakata to Dazaifu Seicho (Government Office), there used to be the entrance to Hakata called “Tsujidoguchi-mon Gate”. 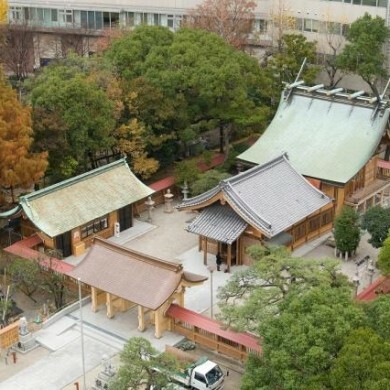 Hakata Sennen-no Mon is of wood construction with four gate pillars after the example of old “Tsujidoguchi-mon Gate”, and the temple architectural style of medieval Hakata is adopted. 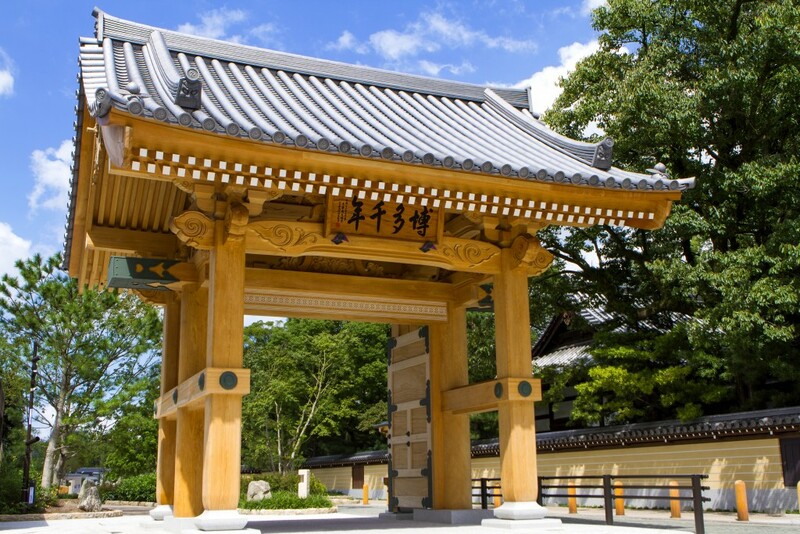 The gate board is made with camphor tree of 1000 years old donated from Dazaifu Tenmangu Shrine, and for the transom, traditional patterns of Hakata-ori textile is carved.